Okay, so I can’t go the whole month of October without any sweets. 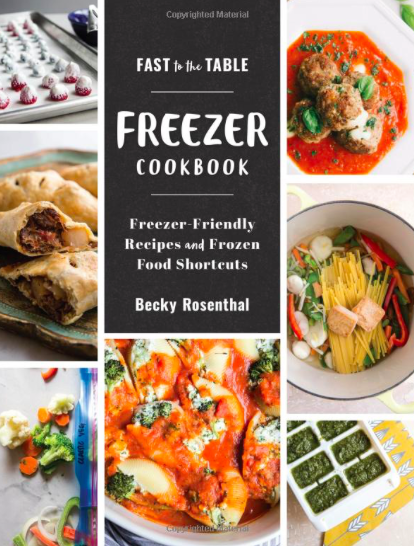 And as it turns out there are lots of great sweet treats, snack, and dessert recipes that use real unprocessed ingredients. I wanted to make a sweet snack similar to my Raw Chocolate Truffles but without the cocoa powder. So, after a little research I created these little healthy raw cookie dough bites for a perfectly sweet ending to any fresh and light meal. We’ve been eating these cookie dough bites after a big bowl of soup at lunch, as an afternoon snack, or after a hearty dinner. Really we just can’t stop eating them. And they are super easy to make as long as you have a food processor. If you don’t, borrow one from a friend, I promise these are worth it. And if you want a little variation you can add a couple spoonfuls of pumpkin puree for pumpkin cookie dough bites or add some melted 70% chocolate for a chocolate cookie dough bite. To store these little balls, you can simple place then in a jar in your fridge. I can honestly say, I’m not craving rich sweets like I usually do, no brownie, pie or cake cravings. I think I’ve wiped my system clean of not-so-good for me sweets. (though I will always crave ice cream). But these little bites satisfy my sweet tooth and I think I’ll be making them far beyond the end of October Unprocessed. 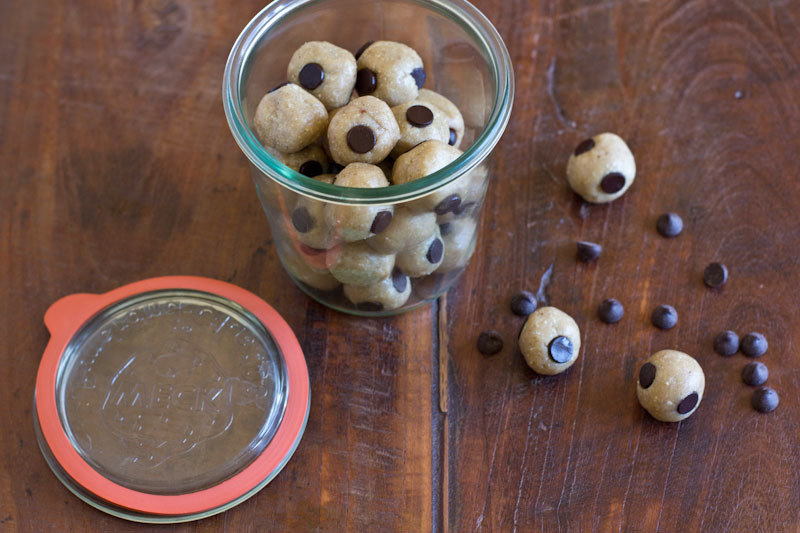 A fun healthy snack that taste just like raw cookie dough. Grind cashews and oats into a fine flour using a food processor. Add honey and maple syrup, adding more as needed until the dough forms into a ball in your processor. Roll dough into bite sized balls then stick the chocolate chips into the dough. (I found it easier to add the chips after rolling the dough but you can try it either way). For more unprocessed snacks and sweets visit my full post on unprocessed recipes. 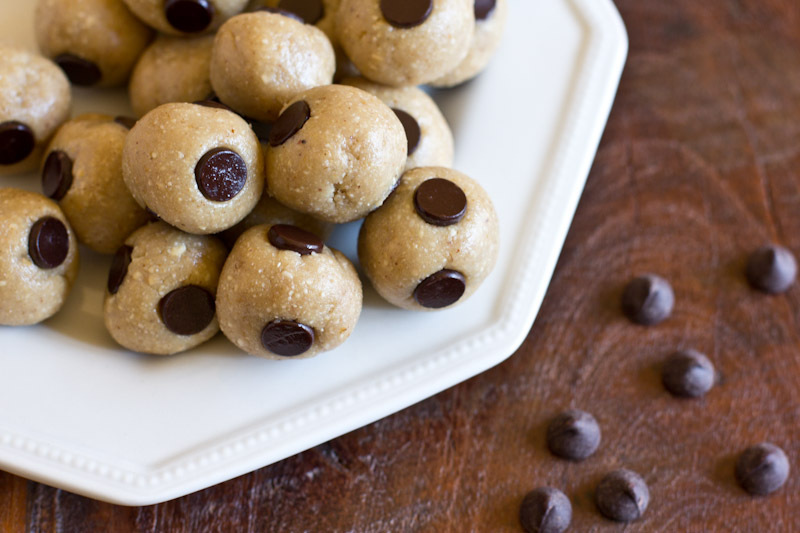 Those look so yummy and I never knew how easy making raw cookie dough bites could be! And I simply love cashews. Now to hide these from the kids…a secret stash perhaps! These look awesome! I’m a cookie dough lover, and these look like a much less guilty indulgence! These look awesome. Cashews are my second favorite nut and I can’t wait to try these. They sorta look like Ohio Buckeyes. So cute! Totally trying these this week. Would you share your recipe for the raw fudge you make and for the raw truffles? Thanks! What fun little treats, Becky! And what a fantastic idea to grind up raw cashews with the oats. Thanks Dara! I think these would be great for post run treats too! Totally agree that these are an amazing snack. I am trying to get over my candy addiction so this is actually a healthier option without feeling like I’m consuming pure processed sugar. So I made these and I’m currently eating them for breakfast haha and I love them. I ended up not having enough honey so I added some almond butter to the recipe to thicken it up and it still worked out well. Since almonds at so mild it didn’t over power the cashews. Great recipe! 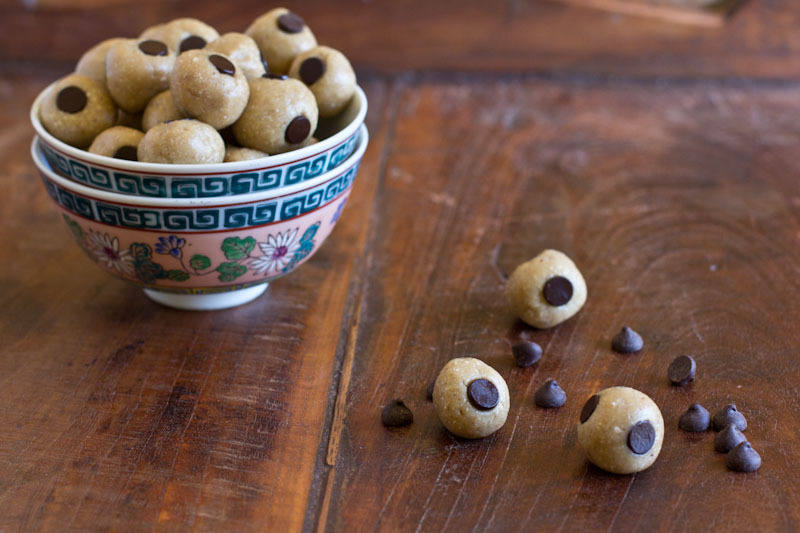 Ive been making little cookie dough balls like this for years with cashews, agave, oats – love them! Yours are great! I was poking around for a quick, gluten-free vegan dessert recipe and came across these!!! They are sweet and decadent and a real treat. My husband and I enjoyed them immensely. I added a bit of shredded coconut to my batch- I will definitely be making these again and again! Rachel, I’m so glad you enjoyed them! I’ll have to try adding coconut next time too! it, you’re a great author.I will make sure to bookmark your blog and definitely will come back later on. I want to encourage you continue your great writing, have a nice weekend! I feel like your chocolate chips probably were not raw. Just saying. Do you have the nutritional facts for each? Sorry Mindy but I don’t. Can you soak the cashews in hot water and then use a blender if you don’t have a food processor? I think that should work fine! Just drain them before blending! Your website is beautiful and these bites look delicious! I’m in the SLC area too! 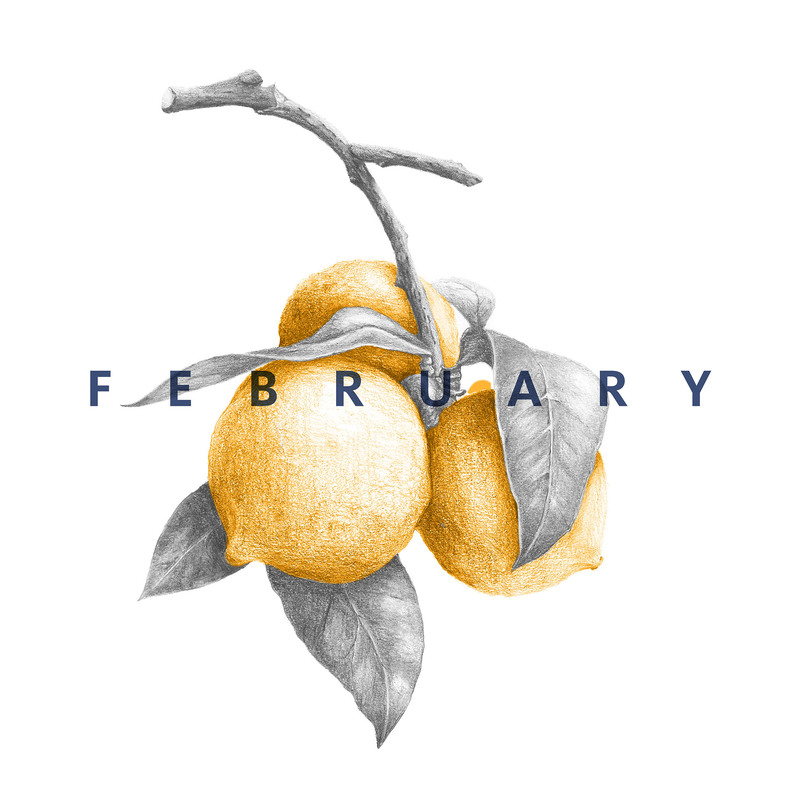 Really excited to explore your blog!